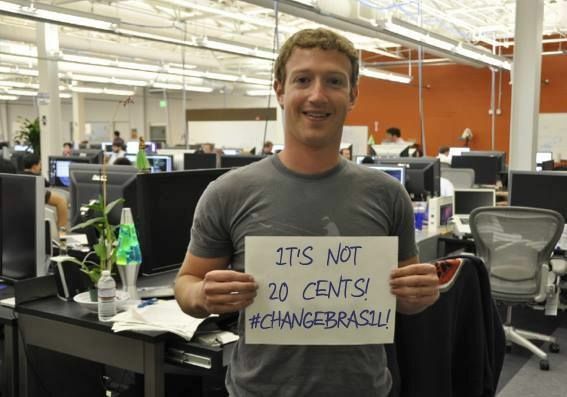 During the June 2013 protests, an image of Facebook's Mark Zuckerberg with a sign reading "It's not 20c, #Changebrazil" spread like wild-fire... Who cared if it was real? Home MEDIA Is Brasil becoming an Algorithmocracy? A world constructed from the familiar is a world in which there’s nothing to learn, since there is invisible autopropaganda, indoctrinating us with our own ideas. – Eli Pariser, author of ‘The Filter Bubble’. 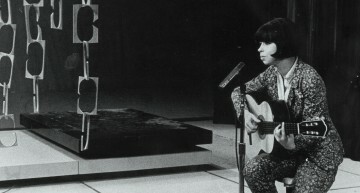 There is a growing democratic unease worldwide, acute in Brasil, one of the developing nations with highest saturation of social media, about how selective exposure, specifically via the closed, algorithmically-filtered social media feed – now akin to broadcast media – has supplanted a once vibrant & uncensored public domain of online political discourse that existed a decade or less ago. Facebook is relative newcomer here; until recently, Brasil found itself in a strange situation where it & Turkey had effectively their own parallel to the internationally popular social networks. Developed by Google but invisible elsewhere, it was called Orkut and was far more popular than competitors in some countries, at one point the most popular site in Brasil. With a messy, unfiltered and unpredictable feel, it was a ramshackle haven for political discussion & argument during the 2006 & 2010 Presidential campaigns. It was finally closed down by Google on September 30 2014, less than a week before the General Election. (Google’s geopolitical role is described here and here). Of course, the problem isn’t all down to algorithms, it is also very much human, who when given these platforms tend to filter similarly if the functions exist. A striking example of intolerance towards public discourse was that of the would-be philosopher king of Brasil’s hard-right, Olavo de Carvalho, calling on his 300 thousand Facebook followers for the denouncement and deletion of all Facebook friends & even family who voted for the Presidential victor upon her re-election (or Communists, as he calls them). How arbitrary, irrational & unnecessary that seems when the filters already make it unlikely you will see many viewpoints differing from your own. But this evidently isn’t enough, and individuals must be excommunicated entirely for their disgraceful differing opinions. Those old enough to remember might wonder how something like the very united front of opposition against the Iraq Invasion in 2003 would appear today, within these walled algorithmic gardens. To imagine this we can look at more recent examples, like the comparative lack of visible mobilisation against the 2012 Libya intervention, or the sheer obfuscation & ambiguity concerning the Syrian civil war. In general, messages have become more diffuse, nebulous & fractured and it is true that fragmentation of media has meant that there are simply less certainties than at times in the recent past. There exists a state of permanent confusion and a cognitive dissonance where only that which satisfies our existing biases is believed or even read; even what we do believe often goes unread beyond its headline’s fleeting appearance in our feed. For example, in Brasil, corruption scandals concerning the political team of the user are unseen or ignored – only those of the enemy, that confirm our own prejudices, appear important. Rousseff’s administration evidently shares this concern. 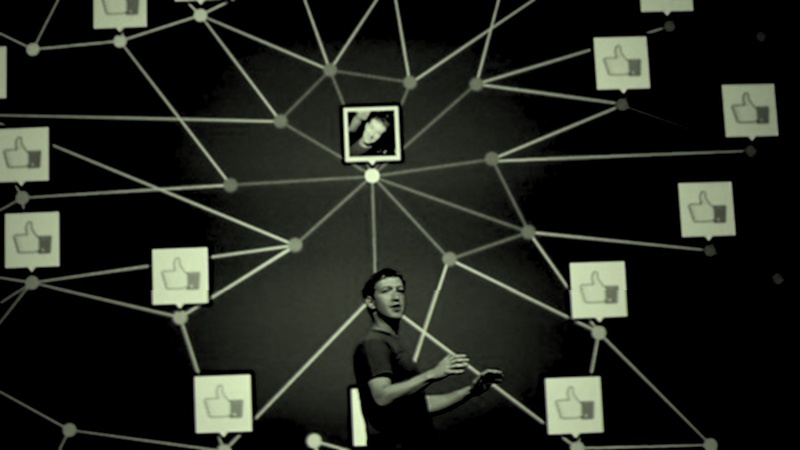 A photo-op together with Mark Zuckerberg was leapt upon by the hard-right as evidence of PT “control” of Social Media. (It was actually evidence of a new deal that provided free Wi-Fi connections to the poor). During the election, both main parties hired foreigners to run their online campaigns. This breakdown in communication transcends political affiliation, and any of us who are unprepared to conduct civil open discussion with those who may not share our worldview are responsible for it. In 2011 there was a subtle but noticable change in what we saw politically on our Facebook feeds, coinciding with the introduction of filtering. This didn’t appear to prevent movements that followed, such as Occupy, from making full use of the platform in the subsequent months, but there was concern about how such filtering could be possible in the future to shape which are promoted and which are obscured. 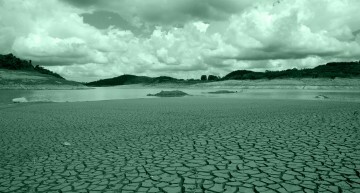 Examples since such as Kony 2012 – an AFRICOM campaign, and apparent suppression on Facebook of news from Ferguson, illustrate the potential danger of such artificial disparity. Ahead of the famous June 2013 protests, a wave of memes & videos circulated on Facebook, with common anti-corruption, anti-government themes, in English, such as “Change Brazil”, “Don’t come to Brazil”, and so on. But the growing protests on the street at that point were for cheaper public transport, then for more generally better public services. There existed a massive gulf between anti-national sentiments seen on social media and those present on the street, and although readily shared within amongst those sympathetic to opposition, many of these memes originated outside Brasil in the emigrant community. Just prior to the 2013 protests, on a more primitive but direct & closed platform, an SMS message was spread around mobile phones in North Eastern Brasil by a marketing agency in Rio de Janeiro, hired by unknown entity. The message warned that the welfare programme Bolsa Familia was abruptly ending, resulting in panic amongst poor recipients & mass withdrawal of cash from National Bank, Caixa. This suspected act of sabotage is still yet to be properly explained. As the disquiet grew, online PR professionals volunteered to aid promotion, motivated out of solidarity for what at first looked like a positive and optimistic social movement. What followed was a rapid shift in message which drove most of them away. Facebook memes claimed for example, that powerful torcidas organizadas – rival football fans – were to be taking part in protests, as if intended to foment chaos. 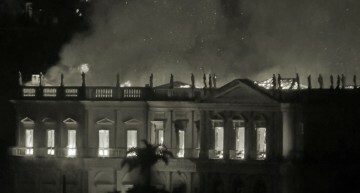 Meanwhile far-right provocateurs began attacking local government buildings in Sao Paulo, representatives of social movements, trade union members and those bearing flags or shirts of left parties who had been there since the beginning. By the time the Black Blocs arrived, the movement was effectively over. However cute and patriotic it looked on Facebook, it was an uncertain & dangerous moment on the ground, with many early participants left bewildered at what it quickly became. No such ambiguity this time around; the current (2015) anti-government protests are for the most part conservative, stretching through to a fringe of far-right & pro-dictatorship factions. Feeding this indignation is a tsunami of hearsay, ideological confusion, and outright untruth, based not only on Facebook, but using groups created on the Whatsapp messaging platform, which is even more powerful, direct and completely closed to scrutiny or counterpoint. Brasil’s traditional Working Class left is playing catch up, particularly in that its protagonists & militancy are far less likely to speak English & be engaged in online debate internationally. Older influential figures often have minimal presence compared to young connected social-media-savvy thought-leaders on the right. Many Brazilians dismiss foreign language media as unimportant, and it probably has little effect on public opinion in Brasil outside the phenomenon of “Viralatismo”, a peculiar inferiority complex which compulsively underrates national culture and product. 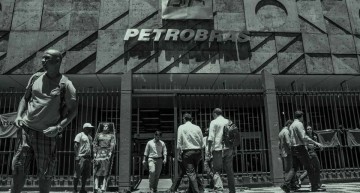 However in terms of how Brasil is framed, and in particular regarding the legitimacy of its Government, the discourse in English could at some point become very important, and nowhere is the root of conflict in class & wealth more evident. 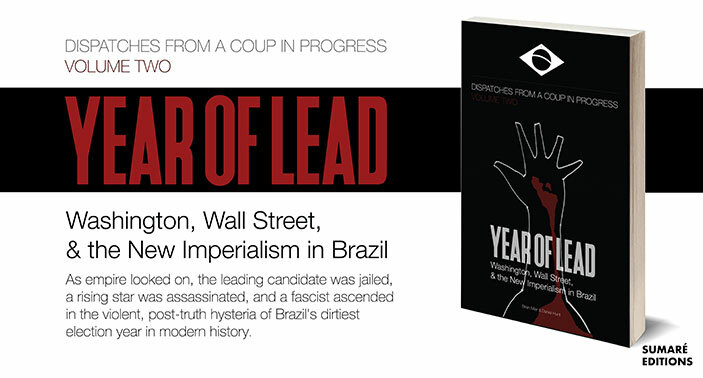 Paralysis and/or bypass of Brasil’s democratic institutions are the biggest threat to the country’s progress & stability, not prison age or welfare payments to the poor, and the shift in influence online has wrong-footed those accustomed to close connections with social movements and noisy debate. Lack of essential reform to media ownership, confounded by this algorithmic echo chamber, threaten Brasil’s still young Democracy & the very viability of the New Republic itself. Beyond understood traditional forms of propaganda, the capability of foreign & domestic corporations to remotely shape & influence public opinion in such new and profound ways should be of concern. In a more innocent time, the neologism “algorithmocracy” would’ve evoked the cybernetic dream, a utopian pure form of automatic governance, but it is now obvious that when these algorithms are proprietary, serendipity can be created as easily in Politics as it can in any other form of digital marketing.